It isn't always easy to find a top-grade professional piano removalist. Pianos are prized possessions for many people. They generally cost a lot of money. They often have significant sentimental value. They're large musical instruments that aren't exactly easy to carry. If you're looking for a first-rate professional who specialises in piano removals, you have to take your search extremely seriously. You can't make the mistake of simply selecting the first removalist you come across. If you do, you could find yourself seriously regretting your choice quickly. 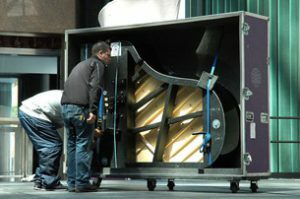 People who are searching for reputable and trustworthy piano removalists should always be highly diligent. Experience is extraordinarily important. You should always make a point to work with a piano removalist who has significant experience. Pianos often weigh more than 200kg. If a person who lacks experience attempts to handle a piano, it could lead to some severely unpleasant results. Pianos can be highly destructive to walls, floors and furnishings. That's why it's important to seek professional assistance from people who have extensive piano removals backgrounds. Piano removalists who don't have a lot of experience can also significantly harm pianos themselves. If you have a gorgeous antique piano that was given to you by your great-grandmother, the last thing you want to do is leave it in the hands of someone who quite simply doesn't have the right amount of knowledge. © Copyright 2019 Piano Removalists Perth. All Rights Reserved.